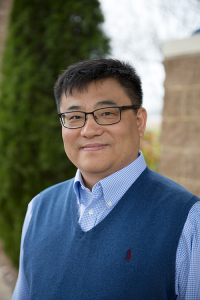 December 07, 2016 – San Francisco, CA – Brewer Science is pleased to announce that Dr. Dongshun Bai, Senior Program Manager, will be speaking on new temporary wafer bonding technology at the 13th Annual 3D ASIP. This event, which will be held, December 13 through 15 in San Francisco, CA, is recognized as the principal conference for 2.5 / 3DIC technology and has earned the reputation for showcasing presentations on leading-edge technology from scientists, technologists and business leaders. Brewer Science is a global technology leader in developing and manufacturing innovative materials, processes, and equipment for the fabrication of semiconductors and microelectronic devices. Headquartered in Rolla, Missouri, Brewer Science supports customers throughout the world with a service and distribution network in North America, Europe, and Asia. Brewer Science is prepared for the next generation. Are you? Find out at http://www.brewerscience.com.